Hawaii Volcanoes National Park will reopen today after being closed for more than two weeks because of the partial government shutdown. Tribune-Herald. With the government shutdown coming to a close, many people are anxiously awaiting the green light for federal facilities like national parks to open up again. Tour groups are counting on parks to be open again on Friday. Hawaii News Now. After voting to reopen the government and avoid default Wednesday, Hawaii's congressional delegation said they were exasperated about how close the nation came to being unable to meet financial obligations and underscored the importance of moving forward. Star-Advertiser. The University of Hawaii administration plans to ask the Board of Regents today to give the go-ahead on a proposed $27.5 million facility to house the congressional papers of the late U.S. Sen. Daniel Inouye. Star-Advertiser. U.S. Sen. Brian Schatz's advisers have prepared a campaign status memo for potential donors that depicts U.S. Rep. Colleen Hanabusa's campaign as "badly foundering" and not up to the rigors of a U.S. Senate race. The memo argues that Schatz has built a winning campaign that leads Hanabusa in fundraising and endorsements. Star-Advertiser. Hanabusa Camp: Schatz Memo Is ‘Cynical, Mechanical Political Calculation’ Civil Beat. The state will be able to help pay for an extra year of preschool for only a quarter of the estimated 5,000 4-year-olds who will be affected next year when junior kindergarten is eliminated at public schools and the state's higher age requirement for kindergarten takes effect. Star-Advertiser. Starting next school year, students must be at least 5 on July 31 to enter kindergarten the same year. Previously, children could enter kindergarten if they turned 5 by December 31. The Senate and House committees on education held a briefing Wednesday on what's being done to prepare families and preschools for the change. Hawaii News Now. Hawaii Health Connector running smoother. KHON2. Officials claim that HawaiiHealthConnector.com, the online Obamacare exchange designed to provide individuals and small businesses with information about health care plans, federal subsidies and tax credits, is now fully operational. But that wasn't the case yesterday for some who tried to log on. The website went live Oct. 1 after a great deal of media hype, but for two weeks, the exchange had no information on the 95 health insurance plans it would eventually offer, including pricing. Hawaii Reporter. University of Hawaii engineers unveiled a new robotic boat Wednesday designed to explore potentially dangerous disaster zones before first-responder personnel. Star-Advertiser. Louise Kim McCoy, who has served as Gov. Neil Abercrombie's communications director and press secretary since November, is leaving the post. Star-Advertiser. The Aloha State ranks near the bottom when it comes to providing access to records at a reasonable cost, according to a 2012 report from the Center for Public Integrity that measured government transparency and accountability throughout the U.S. Hawaii’s poor score is in large part because of the fees associated with searching for records and reviewing them for information officials believe should be withheld. Civil Beat. Honolulu Authority for Rapid Transportation awards new contract to DC lobbying firm. From April 2007 through July 2013, Dwyer's firm Williams & Jensen has been paid $1.43 million by HART. KITV. Honolulu City Councilman Stanley Chang has raised nearly twice as much as his nearest competitor in the race for Hawaii's 1st Congressional District. But another councilman, Ikaika Anderson, may have the bragging rights coming out of the latest fundraising cycle. Civil Beat. Pierre Omidyar said Wednesday that after looking into buying The Washington Post over the summer, he’s in the early stages of creating a new mass media organization that will cover general news utilizing independent journalists. Pacific Business News. 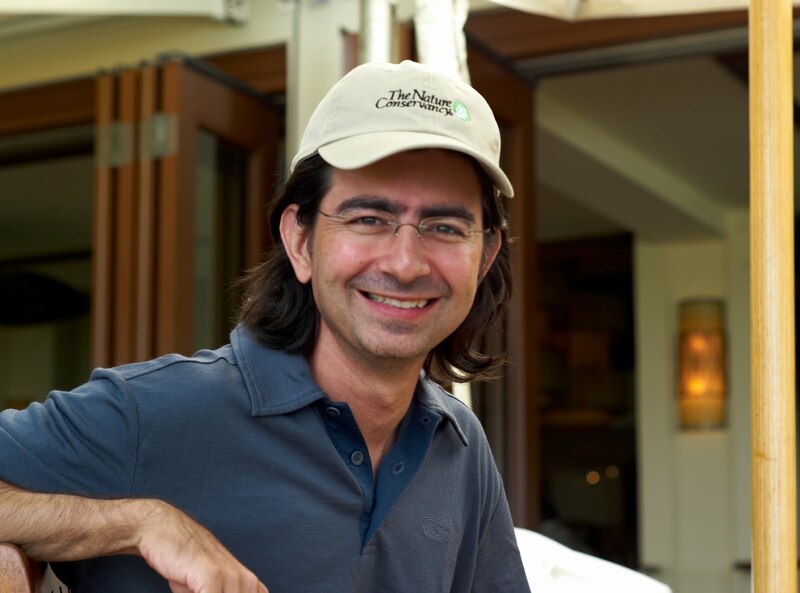 Pierre Omidyar: My Next Adventure in Journalism. Civil Beat. For years, tech billionaire Pierre M. Omidyar has been experimenting with ways to promote serious journalism, searching for the proper media platform to support with the fortune he earned as the founder of eBay. Omidyar also confirmed that he would be personally financing just such a new "mass media" venture, where he will be joined by journalist Glenn Greenwald of The Guardian, the British daily, who reported news about the NSA leaked by Edward Snowden. New York Times/Star Advertiser. Unusually high tides may be largely responsible for recent episodes of severe erosion at Sunset Beach and Waikiki Beach, a coastal scientist said Wednesday. Star-Advertiser. A former Honolulu police major faces sentencing for lying to FBI agents and filing a false tax return. Carlton Nishimura is scheduled for sentencing Thursday. Garden Island. Some Hawaiian Airlines passengers using the Honolulu Airport's interisland terminal's check-in kiosk were surprised to find a TSA PreCheck symbol on their boarding pass that allowed them to bypass the normal security line and speed through a separate queue without having to remove their shoes, coats, belts, liquids or laptop computers. Star-Advertiser. With a sense of urgency largely unseen over the last five months, the Hawaii County Council expeditiously passed an amended bill to restrict GMO, or genetically altered crops during its first reading Wednesday. Tribune-Herald. The Hawaii County Council today gave preliminary approval to a bill restricting the use of genetically modified crops on the Big Island. Big Island Now. Fracking won’t be coming to Hawaii County. County Council members unanimously approved a bill banning hydraulic fracturing, a controversial process by which fluids, including water and sometimes chemicals, are injected deep into the ground to access resources. West Hawaii Today. Maui police are increasing officer presence during Halloween festivities in Lahaina this year in anticipation of a larger crowd projected at between 30,000 and 35,000–up from the 28,000 revelers who attended last year, officials tell Maui Now. A Maui County Council committee Tuesday advanced bills to fund the design of a new building to replace the old Wailuku Post Office that was demolished in a controversial process earlier this year. Maui News. The Transportation Security Administration’s PreCheck service was expanded and implemented at several neighbor-island airports this week, enabling low-risk passengers to move more quickly through checkpoint screening. The addition of the program on Maui is part of a larger national effort to expand the program from 40 to 100 airports across the US this week. Maui Now. The Kauai County Council has voted to require large agribusinesses operating on the island to disclose pesticide use and the presence of genetically modified crops. The measure was approved shortly after 3:30 a.m. Wednesday following a marathon meeting that began Tuesday. Associated Press. After 14 hours of discussion and public testimony, the Kauai County Council approved a measure early Wednesday requiring large agribusinesses to disclose the types of restricted-use pesticides they spray on fields and implement buffer zones around schools, dwellings, medical facilities, public roadways and waterways. Star-Advertiser. In a marathon special meeting that lasted 19 hours, Kaua'i County councilmembers voted to approve a controversial GMO disclosure bill around 3:30 Wednesday morning. Officials say some residents lined up around 3 p.m. Tuesday to participate in the discussion. Hawaii News Now. It’s approved. At 3:35 a.m. Wednesday, nearly 19 hours after Tuesday’s special meeting kicked off, the Kauai County Council voted 6-1 to approve controversial legislation that will allow the county to regulate pesticides and genetically modified crops. Garden Island. What are the thoughts on the street about Bill 2491 passing? Garden Island.